Snorkeling With Whales in Maui - Can You Snorkel With Whales? Can We Snorkel With Whales? Is a frequent question we get asked here at Ultimate Whale Watch & Snorkel. Although snorkeling with whales is often seen on social media or portrayed in documentaries on the ocean and marine researchers, it is not permitted here in Maui. 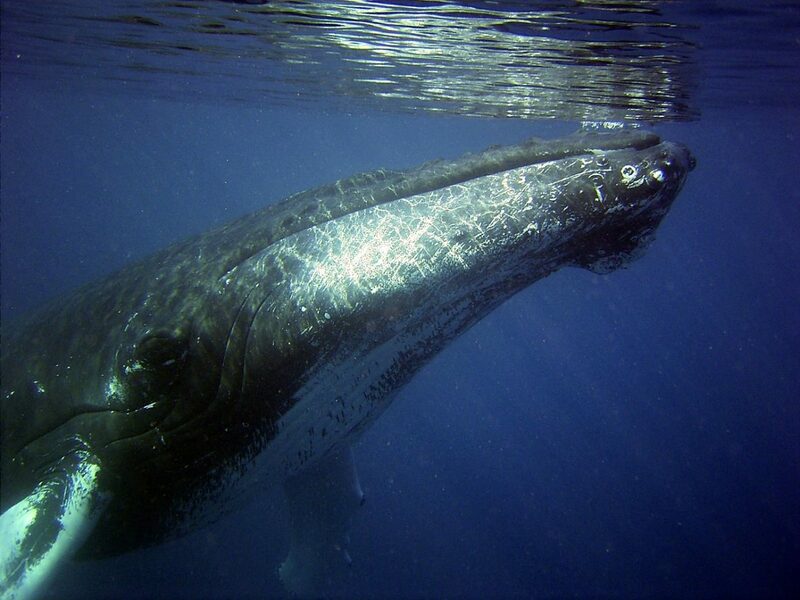 Maui was chosen to be a protected place for humpback whales because of their mass migration here every winter and in 1992, Congress officially created the Hawaiian Islands Humpback Whale National Marine Sanctuary. NOAA is the local administrator of the whale sanctuary and their job is to make sure the thousands of adult and baby whales migrating every year are protected from our interference in their daily lives as much as possible. That is why they create and enforce regulations for us to follow. One of these regulations is that we are not permitted to advance within 100 yards of any humpback whales. This means by boat, kayak, surfboard, paddleboard or swimming and snorkeling. Yes, there are times we are in our boats or on the water and the whales approach us. This is legal, but it is important to keep boat engines turned off, propellers stopped and allow the animals to move around us untouched and unharmed. These gentle giants are just that, giants, and should still be observed with caution and respect. NOAA also operates Maui’s Whale Entanglement Response team to rescue entangled whales. If you ever spot an entangled whale, notify them immediately at 1-877-767-9425, do not try to help untangle the whale, instead stay with the whale until first responders arrive. Knowing the whales’ location will help ensure the whale receives the help it needs! Let’s continue to work together to protect and respect humpback whales during their migration to our beautiful island of Maui.